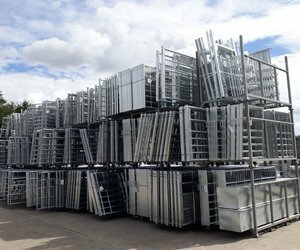 McVeigh Parker are one of the largest independent suppliers of fencing, gates, landscaping and agricultural products in the UK, holding stocks of over five million pounds. Our bulk buying and our huge storage capacity in our eight nationwide branches enable us to offer our customers what they require, when they want it, at the very best prices. We're the experts in the field of fencing and gates, so when it comes to supplying materials for your next project we are able to offer the expertise and products to suit your needs. We offer a comprehensive range of quality products available from stock in project quantities from many leading manufacturers. 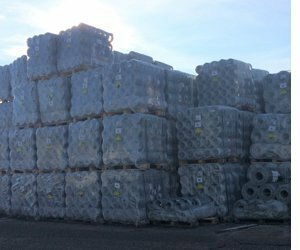 At McVeigh Parker we stock everything from a box of nails to thousands of metres of stock, deer netting, welded mesh to chain link, stakes to gates, fuel tanks to miles of drainage and water pipe, all these products are backed by a comprehensive range of additional fixtures and fittings. We are able to give you a single, reliable source for all your materials at exceptionally competitive rates. Our core product range is guaranteed to be always in stock and our strong relationship with key manufacturers mean specialist materials can always be sourced or manufactured within a guaranteed timeframe. As leading innovators McVeigh Parker refuse to stand still and are always on the search for new, improved and innovative products that can offer our customers real returns. McVeigh Parker lead the revolution in bringing the new X knot wire netting to the UK market gaining a reputable name for this quality wire. 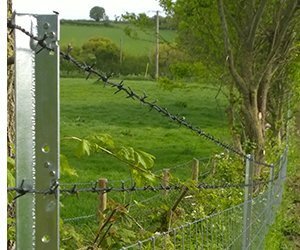 In 2014 we launched the Clipex all steel wire fencing system designed to suit the UK market, since then this is fast becoming the fencing system of choice for many leading estates, utility companies and railway boundaries. This new innovative fence has numerous applications that offer a greater longevity than traditional products and real returns on investment that simply can't be overlooked.